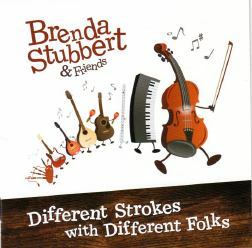 It's always a treat to get a new recording from Brenda Stubbert. Even the old standards never fail to surprize you. Lively as ever, for most of the recording Brenda is accompanied by Howie MacDonald and Dave MacIsaac. As well, flautist Nuala Kennedy joins in on track 3 and piper Kenneth MacKenzie for track 11. The program also includes a couple of songs from Brenda's old friend, Blanche Sophocles.